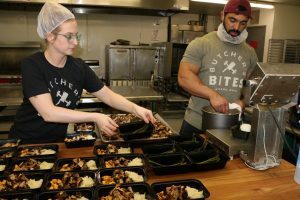 Restaurants, food truck operators and catering businesses access the Food Venture Center for their off-premise enterprises. New food entrepreneurs and farmers learn how to scale their recipes and prototype products using commercial equipment with the assistance of our product development and food science professional staff. 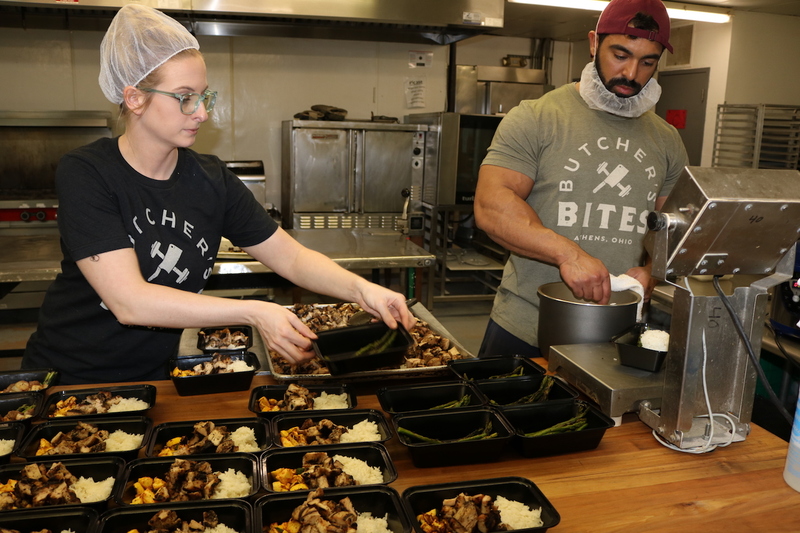 Many businesses utilize the kitchen during their start-up phase to develop and market their products before deciding if they should move into a restaurant space or set up a commercial kitchen of their own. 3 Wooden Bakery Tables 6ft. ACEnet’s staff members, licensed by the Better Process Control School, provide training to new entrepreneurs in areas of thermal processing, sanitation, and food safety procedures. Staff are certified and available to conduct pH analysis on products. The Food Venture Center Warehouse receives and stores deliveries and serves as a distribution space for many of our specialty food producers.